Congratulations to Andrew North from Harcourts Cooper & Co, Auckland, New Zealand who won the 2018 Australasian Auctioneer Championship. This is the second time Andrew has won the title having reached the finals seven times. 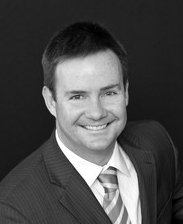 Congratulations to Vincent Doran from Harcourts Plus in Adelaide who won the schools event. Cyan Property held their first successful expo-style land auction on Saturday, 27th May 2017 for the popular acreage Seachange Estate at the Surf Coast Hotel’s Zeally Ballroom. Coles Nitro Athletics Gala Dinner, Thursday, 2nd February 2017 at Crown Palladium Should be an interesting night with the great Usain Bolt the star attraction. It was also announced last Wednesday that Edward Riley and Gavin Croft will represent NSW at the upcoming Australasian Competition held in Alice Springs in September. Congratulations to the NSW team of Scott Kennedy-Green, Josh Larsen, Edward Riley, Gavin Croft and Jesse Davidson who were victorious in the State of Origin Auctioneer Competition with Queensland. With co-hosts Tim Campbell and singing legend Mike Brady, a lively auction was held which help raised over $150,000 for the Northern Hospital. Rob Pullia takes out Hocking Stuart Novice Auctioneer Competition.Well done to Rob. Michael Kingston wins Jellis Craig Senior Auctioneer Competition. Michael was a recent finalist in the state competition.George Bushby took out the Novice Competition Final.Congratulations to them both. Congratulations to Tom Esze for taking out the WA Auctioneering Competition for the second time.Tom is now headed to Melbourne for the Australasian Competition in September. 206 Torquay Road, Grovedale was auctioned by Geelong Commercial at 11:00am today.A strong result with 3 bidders competing for the last 1,000 sqm vacant commercial block in the area. Congratulations to Andrew North, winner of the 2014 Australasian Auctioneer Competition in Auckland, New Zealand.Andrew has been a finalist for the last four years. Day one of the Australasian Auctioneer Competition in Auckland, New Zealand. Down to the last 6. Annual dinner held in Hobart that raised over $50,000. Thank you to Tim Johnstone and the team at Edwards Windsor for sponsoring Jane and Ito attend and perform. Congratulations to Rob Mason. Third time winner and runner up Phil Hayes who will go to Auckland in October to compete in the Australasian Auctioneers Competition. Online Auction for RCH a triumph! The Block auctions see bids galore! Mazda Foundation sets new record! Black Caviar silks sells for 25k to support VSK. Over 100k was raised today at the annual Golf Day held at the National supporting the Ronald McDonald Houses in Parkville and Monash. Big Day, 5 go through! RCH Good Friday Appeal sets new record! Breakfast for Ronald McDonald House at the G! Melbourne Heart has large Valentine Lunch! The Hon Dr Richard Strachan de Fégely. Great auction in Glen Iris! VSK … Footy Fever Debate was a winner!